To make your New Zealand holiday more exciting, you must consider exploring the beauty spots and tourist destinations that are more remote and hidden away. But the public transport in New Zealand will make it easier for you to visit only the major cities and towns. So you have to hire a fully-equipped and comfortable campervan to make your trip exciting by visiting these special sites located at a long distance from the civilization. Once you pick the right motorhome from a reliable campervan hire South Island Nz company, it will be easier for you to explore the special sites without any hassle. Further, you can stay at some of these sites to explore the real scenic beauty of New Zealand. However, you must remember that New Zealand is a not a huge country. Also, some of the regions in New Zealand like South Island are sparsely populated. That is why; you need to take adequate precaution to handle all types of emergency when you are a long way from the civilization. It is also advisable to carry cell phones while exploring these special sites in New Zealand. 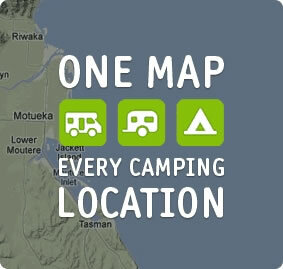 Some South Island based campervan rental companies like Camperco allow you to avail roadside assistance 2 4 hours a day. When you have a cell phone, you can simply make a call to the number and avail the required assistance without any delay. Likewise, you must not forget to take as many New Zealand maps as possible. As the campervan will allow you to explore the special spots at your own pace, these maps will make it easier for you to keep track of the route. You can even gather information about a specific spot by visiting the nearby New Zealand Tourist Information Centers. Along with comfortable and fully-equipped motorhomes, Camperco also provide the maps and guidebooks required by visitors to explore the remote beauty spots in New Zealand without any hassle.